Seb Chan is currently the Director of Digital & Emerging Media at the Smithsonian, Cooper-Hewitt, National Design Museum in New York City. He is responsible for museum’s complete digital renewal during a time when the museum is rebuilding and transforming into a ’21st century museum’. 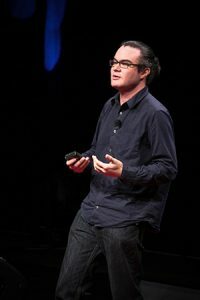 Until November 2011, he led the Digital, Social and Emerging Technologies department at the Powerhouse Museum in Sydney, Australia where he oversaw the implementation of Open Access and Creative Commons licensing policies and many projects exploring new ways for visitors and citizens to engage and contribute to the Powerhouse’s collection. Chan was a member of the Australian Government’s Government 2.0 Taskforce and he has helped organizations and institutions all over the world strategize and implement cutting-edge technologies in the cultural sector. Please visit Seb’s personal site for more information.